As owners await new Florida gambling legislation, it will probably be another year or more before commercial land across the street from Magic City Casino in Miami sees a construction crane. That’s the assessment from Isadore Havenick, vice president of political affairs for Magic City Casino. The vacant parcels have been used for years for parking by nearby commercial enterprises, which lease the spaces. There were plans to build a new full-service restaurant there, but those aspirations remain unfulfilled, due in large part to inaction by state lawmakers, according to Mr. Havenick. The legislature adjourned abruptly May 1 without acting on broad legislation that could have changed the face of gambling in Florida. The company doesn’t want to develop the vacant lots next door to the casino until the Legislature takes some action to provide new opportunities to gaming industry, Mr. Havenick said. The vacant property is at 400, 408 and 440 NW 36th Court, a portion of 460 NW 36th Court and a portion of 427 NW 37th Ave. The lots are adjacent to a long-established residential area. Last summer, West Flagler Associates LTD, which owns and runs the casino as well as dog races at the site, requested a rezoning and a land use change to allow for commercial redevelopment. West Flagler Associates requested the land use designation be changed from duplex residential to restricted commercial to create two blocks suitable for commercial development, potentially a full-service restaurant. Magic City Casino, west of Little Havana, offers slot machines, poker and live and simulcast dog racing. The facility also hosts occasional entertainment acts. The company since the early 1950s has owned these two vacant blocks, at times using them for parking to serve its Flagler Dog Track, the flea market at the dog track in 1990s, and occasionally for the casino, the successor to the dog track, according to the rezoning application. In a cover letter to the city’s Planning and Zoning Department supportive of the land changes, an attorney for the company said an earlier road closure was related to these changes. The slice of Northwest Fourth Terrace between the properties was closed as part of the re-platting of the two blocks fronting Northwest 37th Avenue to create a commercial tract big enough to develop commercially, “potentially a full-service restaurant to service the growing number of visitors and residents of the area,” the application said. 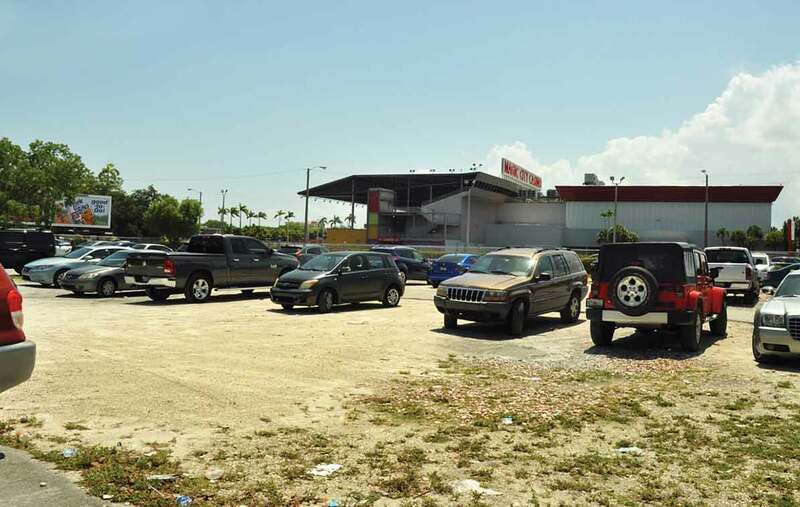 The company said that the buffer and design safeguards of Miami 21 – the city’s zoning code – will ensure that any commercial development will be appropriately designed to protect the surrounding residential areas. The portions of the two parcels that front on Northwest 37th Avenue were already zoned for restricted commercial uses. City commissioners approved the request, but there’s been no construction. Mr. Havenick said another legislative session has come and gone in Tallahassee with no new legislation for private gaming operations. Until they have a better idea of what the future holds for Magic City Casino, he said last week, those lots across the street will remain vacant. Eventually those lots will be developed, but for now they’re “waiting to see,” said Mr. Havenick. “The future the gaming business is in limbo… We’re waiting for some certainty, and we can’t make the best decisions for what will go there on that property until we know what happens [to the casino],” he said. Asked what his vision is for the commercial development across the street, he said it’s hard to say. “We don’t know, until we know what we can do on the casino piece,” he said. “We want everything to work in synergy with each other… We want everything to work together.